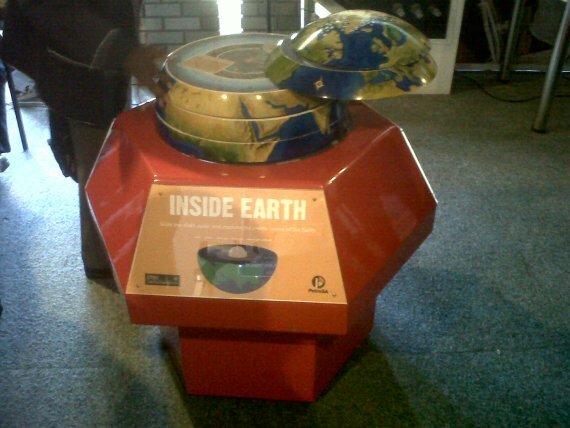 The theme of the 2012 National Science Festival is ´Science Rocks`and this year Village Scribe Association and awareNet is here - presenting their work. VGHS Learners who have been working on Science and Music Projects on awareNet are here at the awareNet stand on a daily basis to talk about their projects and awareNet. 9. My expierence on Sciefest by Lelethu Bodlani. Scifest was an amazing experience for me because it was pretty awesome to show people how awarenet works and what i did for my project..It&apos;s really a great thing because it&apos;s more of a educational site. 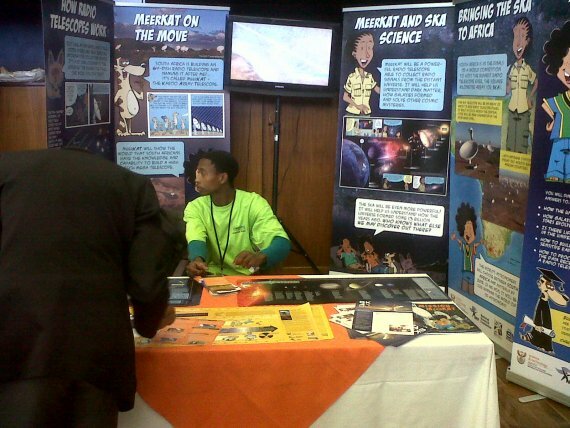 The highlight of my day was when I was interviewed by SAfm about our Science Rocks, Science and Music Project. So here the team and I went around and took some photos of a few of the exhibits here at sci - fest. We really enjoyed the layout and presentation of the stalls as well as the festivity they brought. This stall worked really well with bring a comedic and fun take on science with comics and cartoon advertising. I read their "comic book" explaining all about radio wave telescopes and their angle of explanation tied with the characters and cartoon layout made it both informative and interesting. An exhibition about nature and wildlife this stall hosted a fantastic variety of interesting facts and demonstrations. With actual artifacts and statues this stall was very attractive and caught the eyes of many students. Inga posed like a model outside an Eskom stall that advertised the well known company and was set up in a very professional way. This stall was one of the biggest I saw and had both posters of information as well as models and statues that demonstrated their teachings, Also a candidate from the stall was giving short lectures to passing students, capturing their attention and involving them in their stall. All in all a very aesthetically pleasing and informative store. Being one of the most aesthetically pleasing stalls this exhibit held a huge variety of rocks and crystals that pleased students and was very informative. We learned the names of many different rocks and information on each was available. 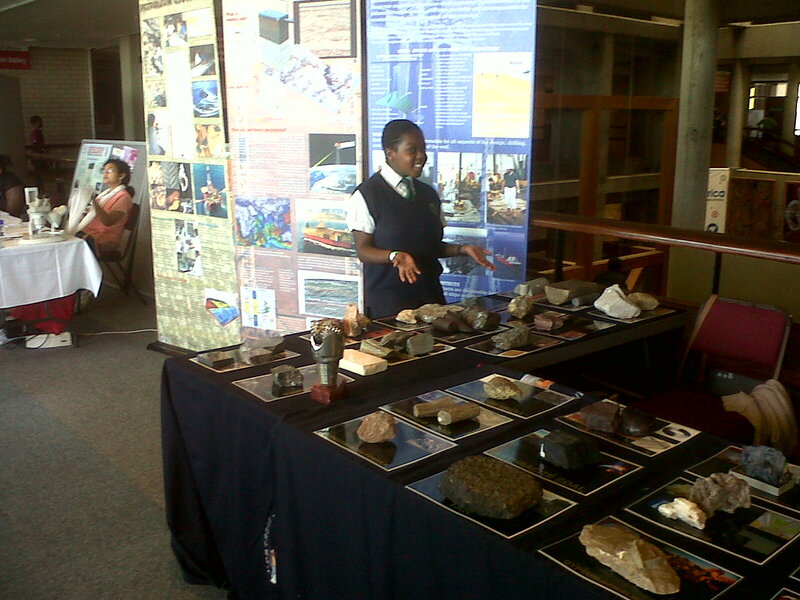 This exhibit also related with the grade 11 project on paleontology or at least followed the same ideas. In all this years Sci - fest 2012 was extremely successful and the exhibits, people and experiences were many and very pleasing. Working at aware net was an amazing experience and the objective of this insightful project is fantastic. I hope for many more schools to join the aware net family and those that have I have enjoyed working with and hope for many more interactive projects in the future!! 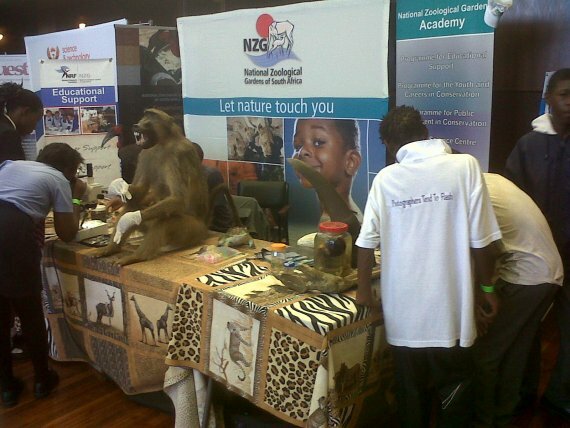 Overall SciFest2012 was an awesome experience and i think this is because i have not been to this festival in donkey years!If you attend it annually it becomes monotonous and this proves that too much of anything is just not healthy!So the Aware-net stall received so much hype which i would personally regard it as a positive response therefore well done to everyone who participated on the various projects as well as the Scifest.It was such an amazing opportunity to socialize with my other friends from different schools:)okay so today is the last day so thats why it so packed...i gotta bounce now cause I&apos;M HUNGRY and I cant function properly when my tummy is empty! So its that time again and Sci - fest has arrived! this really is an amazing event and the time I&apos;ve spent here, helping people access aware net, explaining our project and really just entering the mood and atmosphere of it has been amazing and full filling. I think the main thing for me about this event and the activities it holds is the delicate line between science and fun. Many think you cannot have the one with the other and sci - fest and aware net combines the two extremely well, enabling the learners too have fun and also to educate them. Teaching people about my project really helps my communication skills and seeing their enthusiastic response and eagerness urges us candidates on and creates a good relationship between teacher and student. I have really enjoyed my time here and await in anticipation for next year. I really enjoyed myself at sci fest today, interacting with other people and showing them how to use aware net was quite an experience for me. The fact that the whole thing is educational was also a good thing and the highlight of the whole day was the interview from the newspaper. Sciefest is awesome. i learned a lot of new thing . awarenet is the way to goit is one of the coolest site for learners. Aah well... Science Festival was such an exciting experience that gave us such a wonderful opportunity to interact with various learners in educating and sharing different views and knowledge about awarenet, and how people can come and join the network. It mainly wants to connect with various schools that help encourage learners in doing their studies/ projects with the help of various people from other schools. Many learners and teachers from different schools have been eager in joining the network as they see how important and much more effective and fun it is by educating "differently", ( meaning that kids or children are able to help one another and educate each other through networking which makes this similar to &apos;facebook&apos; and &apos;yahoo answers&apos;). sci fest has arrived and its time for us to showcase our projects to learners from schools all around South Africa... it turned out to be a day well spent as we met and interacted with different people and got to share our knowledge and skills with them :) I can proudly say that Awarenet is now an organisation that is known across South Africa!! Enjoying my time here at the sci-fest. Getting to know new people and telling them about my project. Wow I do not know where to start...working with awarenet and scifest has been simply fantabulous. I loved interacting with other schools and getting to know what they are all about. 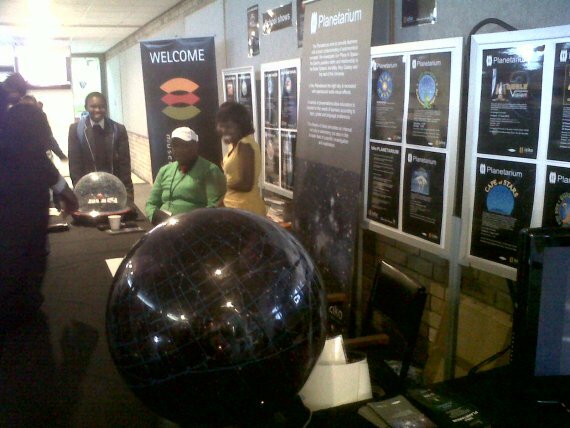 Being part of the awarenet stall at this years scifest has been a memorable experience. 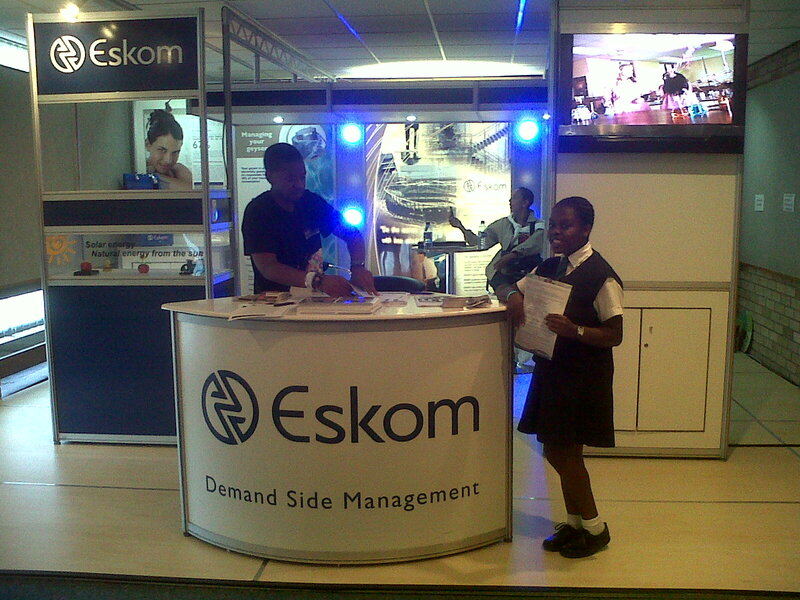 It felt good being behind the stall for a changing educating my peers than being the one being taught, fab change hey! I also enjoyed putting together my Grahamstown Rocks project with Dr Hanton and two of my school mates. I am looking forward to the next awarenet project!